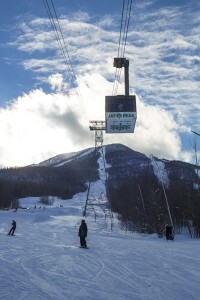 Jay Peak is unlike any other Mountain on the east coast. Though it’s far north on the border of Canada it is worth the long trip on every level. We left the city early to get a half day on Friday that would warm us up for the weekend powder turns. 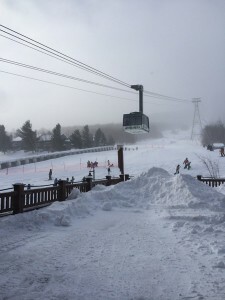 The Traffic was non existent and we made great time to arrive on the mountain before noon! 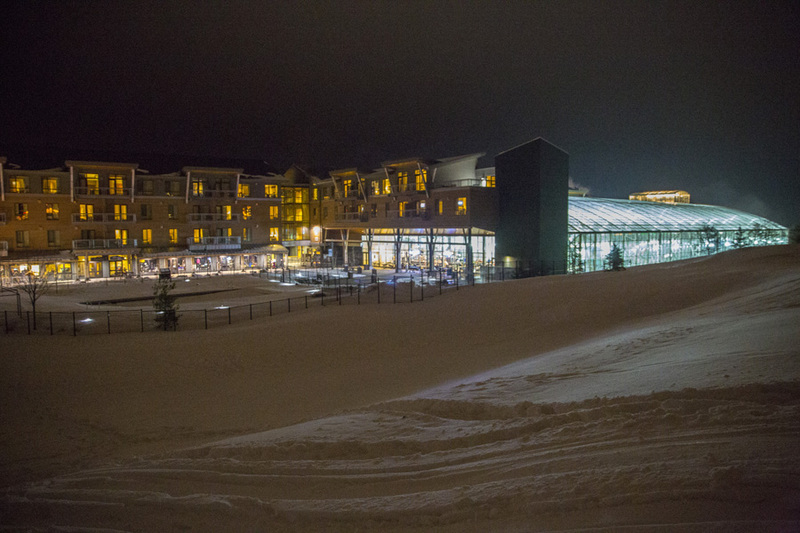 After hitting the local supermarket for food, booze and snacks we got settled in at the Slopeside Condos fully equipped with a Kitchen and large living area. 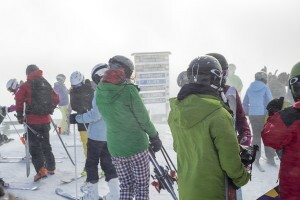 Most people were excited to have the afternoon to get familiar with the mountain so we issued tickets quickly so people could get ready and walk out of there rooms to shred. The weekend was shaping up nicely and the energy was high, The OvR Crew was ready to GET SOME! 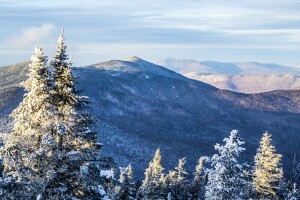 The Views at Jay Peak are breathtaking. In all directions it is literally jaw dropping. We were all lucky enough to have a bluebird day with no wind. From what all the locals were saying “THIS NEVER HAPPENS” . 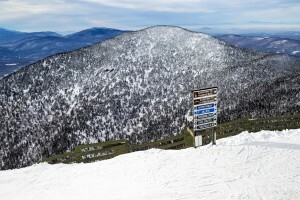 Jay Peak has been known to be windy on clear days and with gusts sometimes hitting above 40 mph. The tram sometimes shuts down which stops people from getting to the top to see the sites. If its not the wind its the “Jay Cloud” Hovering right over it at all times dumping numerous inches of snow. Looking north into Canada and East to Mt. Washington was a really amazing experience and we were all feeling the hype for the weekend!!! 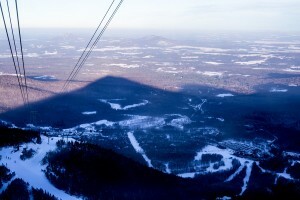 The Tram at Jay peak was so rad! 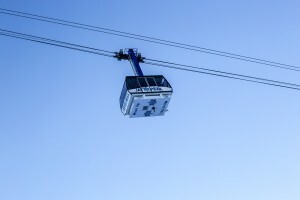 When there is a tram at the resort you know you are doing some BIG mountain shredding. The tram ran every 15 minutes and would take 50 people 4000 feet to the top! Once at the summit we made sure to check out The Sky Haus which offered some really amazing organic food options and local beer. 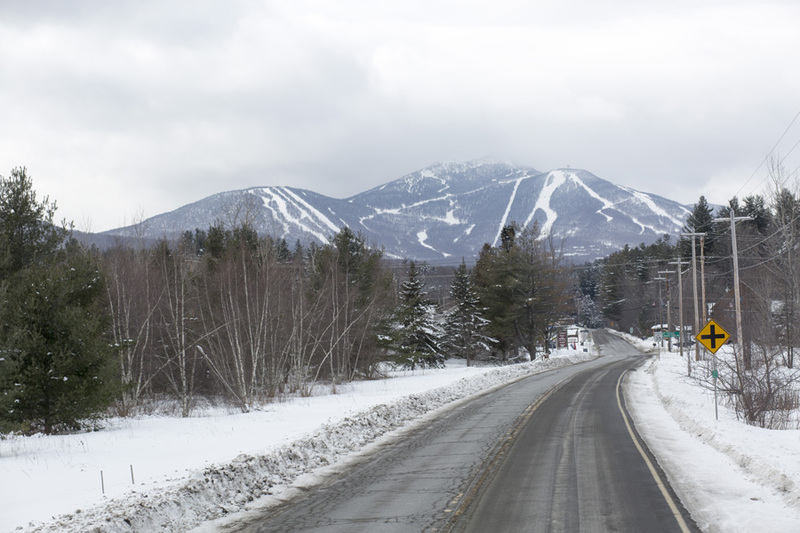 While having a beer and looking south to scenic Vermont we met up with some locals who had been hanging all week and were headed to Beaver Pond Glades. 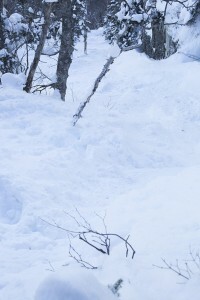 We cruised with them to find numerous untouched tree lines that were laced with POW! These guys gave me the 411 on the entire mountain and were bummed they had to leave that night because snow was expected to be hitting Jay Peak hard all weekend. We all shut down the mountain and the first day was a wrap!! After getting settled into our respective condo’s Powder Phil and I went door to door to make sure everyone was feeling good and hyped. People answered their doors super excited and everyone was hyped that it was snowing!!! The talk of FIRST TRAM was mentioned numerous times though bouncing from bar to bar was most peoples first priority. Either way it was a win, win situation because there was an expected 20 inches of snowfall from friday night into Sunday afternoon! If you’re Down for a hike …I suggest BIG JAY!!! 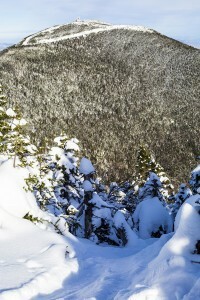 The sun was out on Saturday morning so i took the advice of many of my friends to hike out of bounds to BIG JAY. 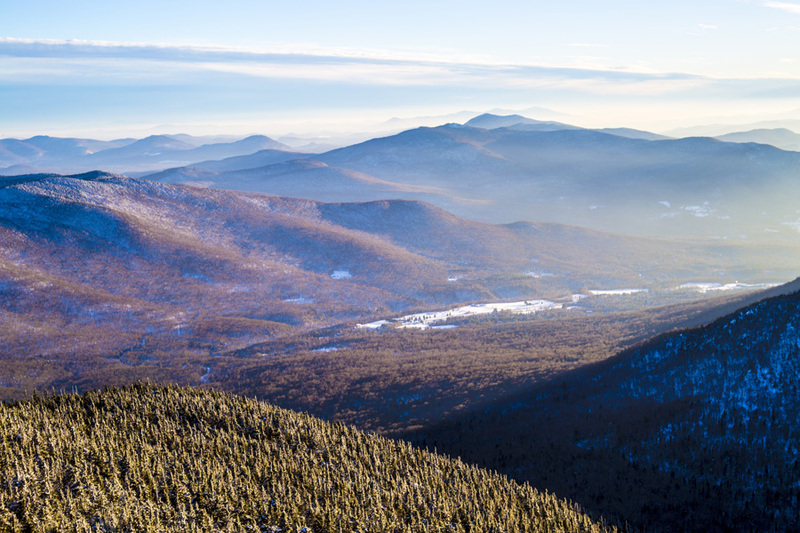 I met a dude named Jose on the hike and he was telling me that Big Jay is the best hike in the east coast next to Tuckermans Ravine. We had a great time talking while hiking to the top and i couldn’t be happier looking off trail and seeing so much untouched snow. 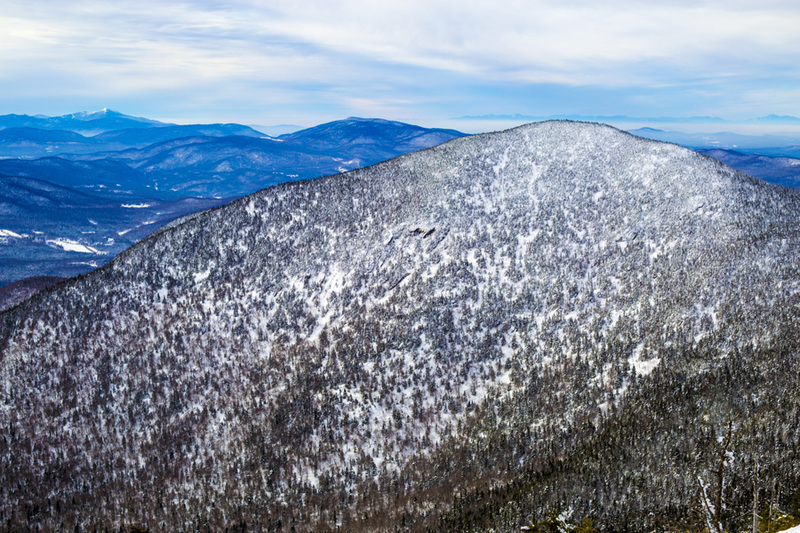 As we approached the summit we could look back at Jay Peak and see how far we went. 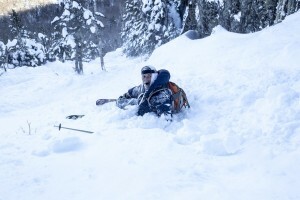 It was well worth it because we were blessed with waist high pow turns from the summit all the way to the bottom traverse. Though we had to hitch hike back from our epic run we got picked up pretty fast from a Jay employee who was heading tram side so we get right back on the hill and finish the day in bounds. It was amazing! After a full days riding the Pump House was the answer! It warmed up fast on Saturday night at the Pump House! 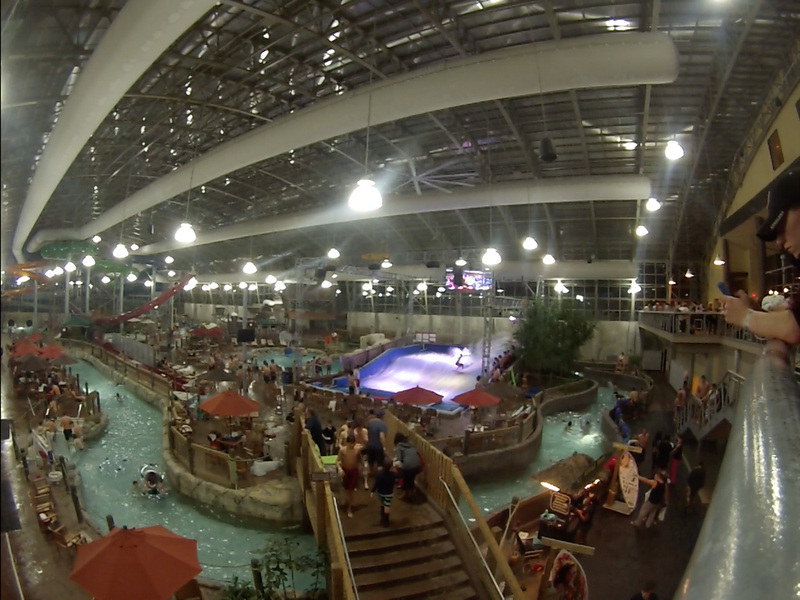 The entire OvR crew was hitting the lazy river, water slides surf wave and hot tubs to keep the positive vibe going. It was started snowing hard around 6pm and was expected to go all night. The whole OvR crew was talking about how much snow was going to pile up over night. 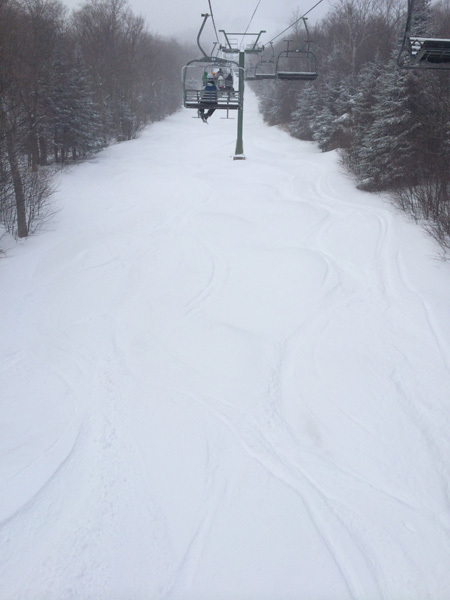 With a predicted 10 inches of snow most of us got to bed early to get that first Tram of freshness!!! Day Three… Snowy Sunday…PEAK POW DAY!!! IT DUMPED ALL NIGHT, INTO THE EARLY AFTERNOON!!! Time to get up and get after it Early !!! We got the snow, we were in the right place and it was the right time!!! 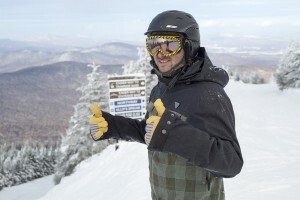 JAY PEAK POW DAY!!! 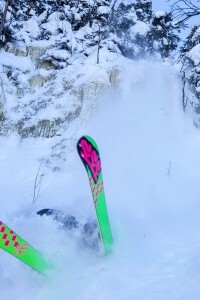 First Tram on all trails came with a heavy spray and there were plenty of face shots to go around. 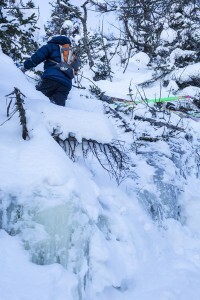 As the day progressed we went farther into the woods to keep finding the never ending lines of fresh snow. You would think by 2pm everything would be tracked out. But it just kept coming down so even if you got up late you still got a piece of the POW ACTION! FIRST TRAM TO GREATNESS ON OUR LAST DAY!!! WE WERE ALL SWIMMING IN THE SNOW, A FOOT TO THE FACE!!! SENDING IT ON POW DAY!! 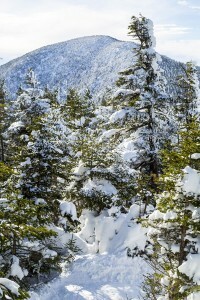 From the summit to the bottom of Jay Peak there was over a foot of snow. 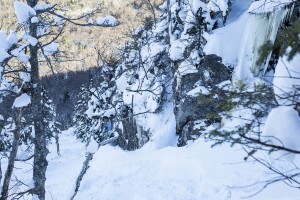 The glades in Valhalla, Canyonland and Vertigo were all fresh for the taking! The OvR crew was taking lap after lap, tram after tram until every inch was explored and blasted out. We couldn’t have asked for a better end to our weekend. 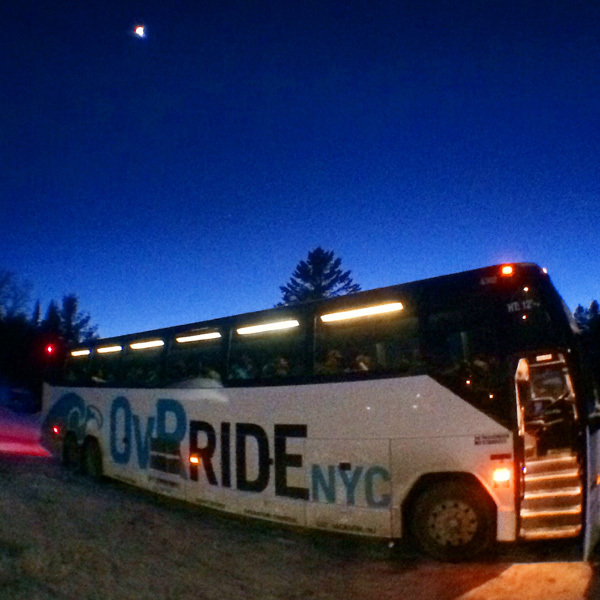 The snow stopped right as we were packing up and loading into the bus. We stopped at the Jay Country store for souvenirs and provisions for the trek back to the city. Everyone was super hyped on an AMAZING WEEKEND!!!! Couldn’t get any better than that! 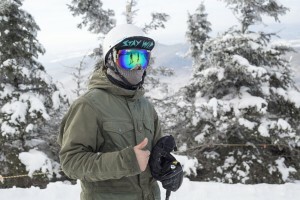 This entry was posted in Chris's Blog, Events, News, OvR Shout Outs, Trips, Uncategorized, Waterpark and tagged 4000 FT, Big Jay, Jay Peak, pow, Sky Hous, snowboarding, Vermont, weekend trips. Bookmark the permalink.